Facial cleaning regiments are what you live by and the cost of these products are becoming almost unbearable. You seem to spend more time in front of your sink and mirror than you do enjoying life. The only other alternative is to have plastic surgery which is an option that you have always refused. Forget the cost, it just does not seem natural! These are opinions held by many and there isn’t anything wrong with wanting to save some money while still looking your best. There are natural skin tightening remedies that are available to assist in achieving that goal. First off, it’s important to practice a healthy diet when trying to lock in moisture for your skin. Most aging skin occurs from dryness causing the skin to wrinkle or sag. This is easily avoided by ingesting fruits such as grapes, strawberries, and watermelon. Why not alternate between eating one and then rubbing the other around your face? Believe it or not, it has been proven that if the hydration from fruit is absorbed into the skin consistently, it will eventually help generate the additional moisture needed to tighten skin. Also, placing cucumbers over the eyes daily is another common natural skin tightening remedy. It is known to instantly hydrate the skin around the eyes as well as diminish black circles around that region. It’s amazing what fruit salad can accomplish! However, it’s not enough to eat healthy and just using these garnishes as a solution. It’s important to keep yourself hydrated with water. This is combined with administering the correct amount of minerals and vitamins that the body needs to remain healthy. With the extra assistance, your skin will react accordingly and instantly feel and look a lot younger. 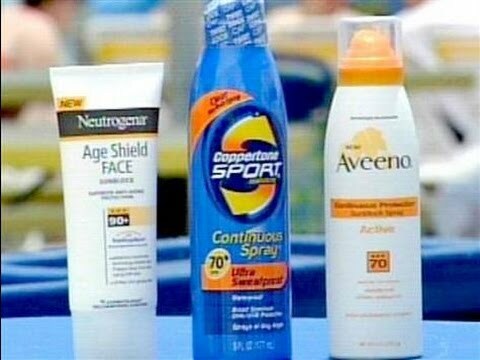 Last but most importantly, protect your skin against harmful UV rays. Sun block is the best solution for this. However, if you prefer, remember to wear hats or coverings around your face to reduce the chance of direct contact. The UV rays of sunlight will instantly dry out the moisture in your skin guaranteeing wrinkles. Read also about how to deal with sun burn here. There are in fact many natural skin tightening remedies available for anyone to try these days. So, why not take charge of your looks and get ready to meet the cheaper version of your homemade “Fountain of Youth”? Also read how to get glowing skin naturally.